The plans for shuttering the infamous Rikers Island complex could be a boon for communities across the city. For generations, New York’s Rikers Island has been an icon of mass incarceration blighting the skyline of this city of dreams. But that could soon change: Mayor Bill de Blasio has announced plans to finally close the massive jail, following years of denouncements from state and federal authorities, corruption scandals, and relentless campaigning by rights advocates. Though the plans are tentative, the administration has set an aspirational 10-year timetable for shuttering the modern-day penal colony. And the public conversation around reenvisioning criminal-justice policy in the city reaches far beyond the island’s bleak shores. Named after a 19th-century municipal officer notorious for detaining “fugitive slaves,” the 413-acre complex has, since 1932, been witness to the most brutal aspects of New York’s criminal-justice system, from the reign of gangland corruption in the 1930s to the “zero tolerance” policing of the 1990s. Today, the idea of closing Rikers brings with it both painful historical memories and great potential for urban revitalization. Turning the city’s notorious jail into a springboard for ambitious social progress takes not just public investment but political will and genuinely democratic planning processes. 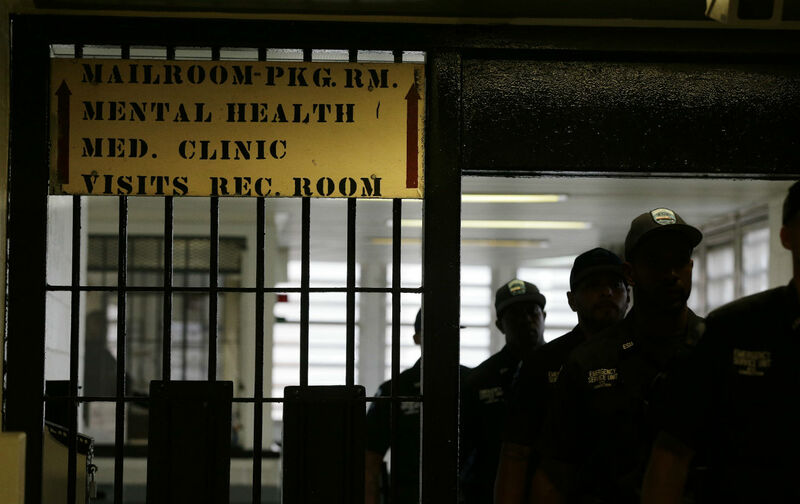 The questions to ask are, for whom, and by whom, will Rikers be closed? Rikers’s nine facilities house about 8,000 of the 10,000 inmates citywide. About 60,000 people churn through its gates annually, costing local taxpayers more than $200,000 per person per year. 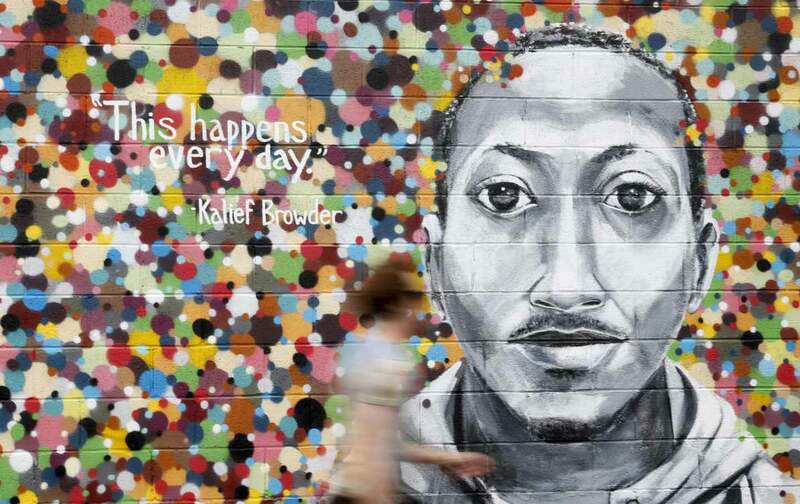 The vast majority are people of color, and about 80 percent are still awaiting trial. Plagued by court delays and backlogs, many languish for weeks on end without having being convicted, in conditions described by human-rights observers and public officials as barbaric. The most concrete closure plans are laid out in the final report of the official Independent Commission on New York City Criminal Justice and Incarceration Reform, headed by former New York Chief Judge Jonathan Lippman. The commission recommends that Rikers be fully closed over the course of a decade, with the aim of “[replacing] our current model of mass incarceration with something that is more effective and more humane.” The panel proposes moving the inmate population—which is anticipated to shrink by about half in coming years according to the report—into smaller jails distributed across the city. Grannum, a community-development specialist, has also been rethinking Rikers itself as a public space. Contrary to popular perceptions, he notes, the island “is not isolated.” He recalls recently marveling at its physical proximity from above as his flight landed at nearby LaGuardia Airport—what he calls “the injustice of having a facility like that be so close, but in the minds of the residents, being isolated.” Closing Rikers’s jails, and building something more beneficial in their place, then, involves channeling the social resources the island has drained over the years back into the marginalized communities that it has historically torn apart and impoverished. 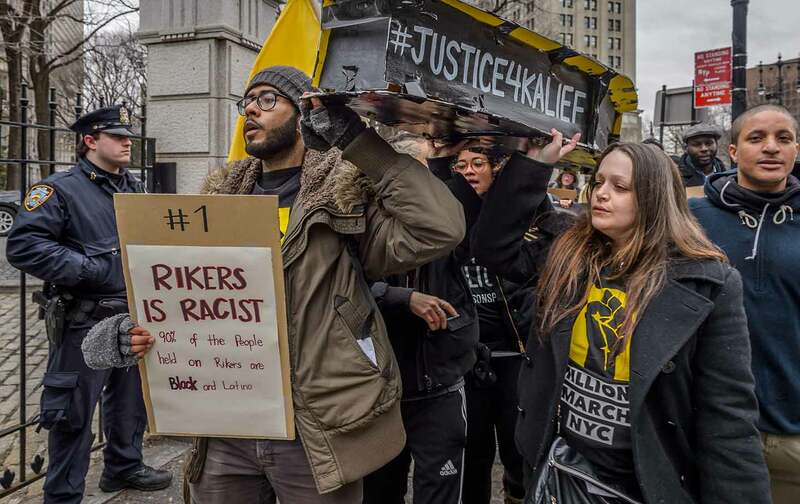 The first stage of the post-Rikers transition is already stirring controversy. Re-siting the remaining inmate population in smaller jails would scatter some 5,000 individuals in not-yet-determined neighborhoods. The commission estimates the closure and replacement process would cost $10.6 billion and result in more “humane” facilities, built to be less cage-like and better managed, with comprehensively trained staff to avoid the systemic neglect and violent outbreaks for which Rikers has become known. Whether the goal is minimizing or eliminating the system, Rikers, with a roughly 90 percent black and Latino population, stands today as a grim microcosm of incarceration’s systemic impacts across the country. Fully dismantling the jails, and replacing them with non-carceral alternatives, could stand as a powerful model for a human rights–based framework for public justice. But as a political matter, Glenn Martin, Criminal Justice and Incarceration Reform commission member and founder of the advocacy group JustLeadershipUSA, has come to see an incremental phase-out as part of a longer-term overhaul in the city’s approach to criminal justice. There has already been a massive drop in imprisonment rates both in the city and nationwide, he notes, driven by gradual changes in sentencing and law-enforcement practices. Ultimately, the post-Rikers plan to reduce the city’s jail population and house inmates in smaller new jails would depend on whether the city can effectively divert would-be detainees to effective alternatives. For starters, many Rikers inmates have not even faced trial yet. Reform groups like the Center for Court Innovation want the city to expand alternative court models to find non-carceral methods of processing and resolving their cases. Adolescents could be sentenced to rehabilitation-focused restorative-justice programs rather than detention. Overall, people charged with lower-level (often drug-related) offenses could be provided a more affordable bail system. Giving more poor people access to reasonable bond rates would enable them to return to their communities under “supervised release,” not locked up, but under limited surveillance. Such court-diversion programs could eliminate potentially thousands from the jail pipeline. New York City’s Department of Corrections has already begun shifting 16- and 17-year-olds into specialized youth facilities, and the current minor population at Rikers is down to fewer than 150. State lawmakers recently passed sentencing reforms to limit prosecution of minors as adults—largely, though not entirely, eliminating a much-maligned policy still maintained by only a handful of states. Now that closing Rikers seems politically feasible, designers are proposing ideas for replacing the institution with something restorative and socially integrated, moving beyond architectural utopianism toward concrete planning. According to Raphael Sperry, president of Architects/Designers/Planners for Social Responsibility (ADPSR) a zero-jail alternative is possible: Instead of building “mini-Rikerses” in different neighborhoods, Sperry envisions that the city “could replace Rikers with community health, mental-health, and substance-abuse clinics, and residential facilities,” while providing job development to help communities avoid criminal justice intervention. 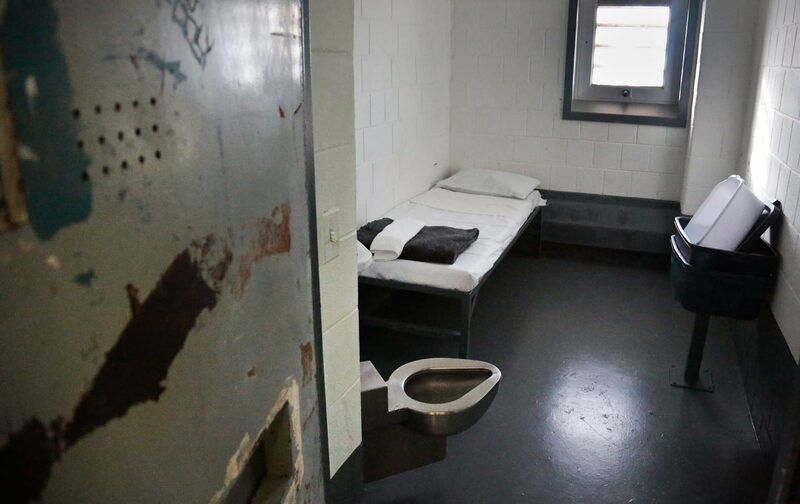 From an architectural standpoint, can Rikers’s physical space be repurposed for a social good? The commission’s report broaches concepts that might transform the jail site from an urban blight to an ecological oasis or futuristic transportation infrastructure. One possibility is expanding LaGuardia Airport, with a runway extension and other aviation facilities. The new infrastructure could also include affordable housing for possibly tens of thousands of residents. The island could become home to a green power generation hub—for example, a solar panel system that could “power nearly 30,000 homes and support a broader renewables network.” The commission estimates such initiatives would yield over $7 billion in economic activity and more than 50,000 jobs. Advocates hope the Rikers redevelopment could open employment opportunities that could be targeted toward the communities that have suffered economically through the criminal justice system. The City has in recent years piloted green workforce programs for the reentry community, offering, for example, training for environmental technology jobs in weatherization or renewable energy. The jail landscape might prove fertile ground for social renewal. Another visionary design idea is to construct an academic research park that could accommodate a multi-acre urban farming project, which could expand local food production. Perhaps morphing Rikers into a green agricultural hub could attract a new kind of recidivism—this time returning former inmates with a different charge: sculpting old cell blocks into organic plowshares. The ADPSR encourages the formerly incarcerated themselves to participate in public redesign dialogues for correctional and court facilities, by sponsoring the “Designing Justice + Designing Spaces” initiative. Bringing designers and advocates to impacted communities from New York to Oakland, the program’s workshops teach “design thinking” concepts to help community members take active roles in planning for restorative, equitably constructed public spaces. With that fusion of politics and vision in mind, Martin says the next step is engaging the environmental justice community with the ongoing campaign to close Rikers and remediate its physical and social legacy. Just when and how Rikers will finally end remains an open question. But Martin recalls that one element of design the community pushed for and secured in the commission’s deliberations was erecting a public memorial to the history of Rikers. Placing a single monument on the future island, whatever surrounds it, marks a first seed for rebuilding a free city: Reenvisioning Rikers, after all, is not about erasing its legacy, but healing it.